AMI is the industry’s expert in textile solutions for extreme temperature applications. Our high-temperature ropes insulate and seal against heat. They are used for gasketing and wicking, as oven door seals, or as drawstrings for industrial removable insulation jackets. Our heat-resistant ropes for gasketing are available in six different fiber types and are engineered to protect against a wide range of temperatures, from 600°F to 1800°F (320°C to 1000°C) continuous. 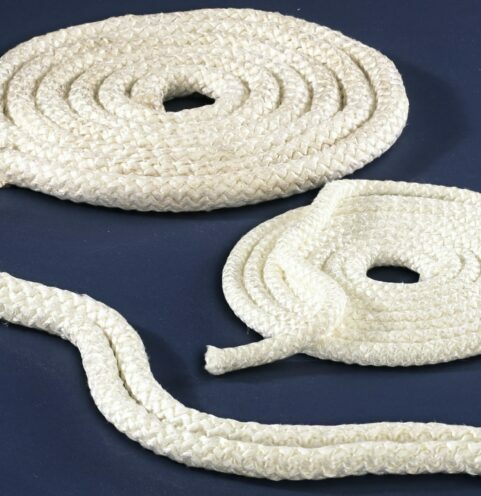 Look to AMI for the industry’s broadest expertise in high-temperature fiberglass ropes for gasketing… and the best prices you’ll find. All 3 results for "Rope"